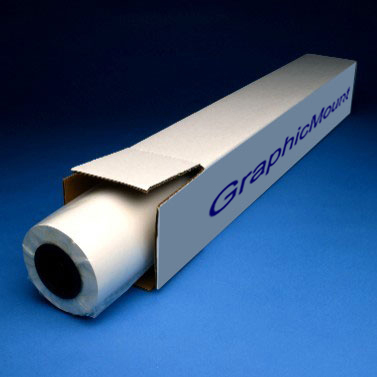 GM09 — Graphic Art Supply, Inc.
GraphicMount™ OPTICALLY CLEAR REMOVALBE face mounting adhesive is a clear polyester ﬁlm carrier double-coated with an optically clear permanent acrylic adhesive, an optically clear removable acrylic adhesive and a polyester liner on each side. The adhesive has added UV inhibitors to protect images from fading and an easy peel release liner. OPTICALLY CLEAR REMOVABLE face mounting adhesive is ideal for applications when removable face mounting to acrylic, glass and lenticular lens is desired .